New out this month is Jo Malone’s Vitamin E Moisturising Day Crème which expands on the original Vitamin E lineup, the brand’s signature skincare collection. Packaged in a monochrome, heavy glass jar – it displays the sophisticated elements you’d expect from the British brand who have just appointed Charlotte Stockdale, as their new Style Editor. It’s perfect for this time of year with a thick, emoliating formula which feels unusually light on the skin considering such a rich texture, basically it sinks right in – although, perhaps that says more about the current condition of my dry skin. I wouldn’t describe this as a heavy-duty moisturiser, though I feel this is about as heavy-duty as ‘normal’ moisturisers get (does that make sense?). I’d recommend for normal > normal/dry skin types as I’m not sure oily skins would need this much moisture – although because of the light, spreadable formula – it may just mean you only need to use a tiny amount to cover your face. The cream delivers instant skin-soothing relief, with a cooling after-effect when applied to post-shower, dehydrated skin and gives me no issues with makeup application a few moments later. It promises to guard against fine lines and wrinkles with the addition of barley extracts, wheat germ, rosemary leaf and grape seed extract – helping to combat free radical damage and strengthen the skin’s barrier to reduce water loss. The cream also features broad-spectrum UVA and UVB protection rated to SPF15, helping to shield skin from harmful UV rays. I was surprised to find no discernible scent to the cream, I feel there’s something there but it’s so light my nose can’t really detect it that well and although I haven’t been using this for long enough to notice the effects of any anti-aging properties, I’ve been pleased with what is a high quality, luxurious addition to the Jo Malone lineup. Priced for the high-end market, it fits well with the existing Jo Malone business model and will undoubtedly appeal to JM fans across the globe. 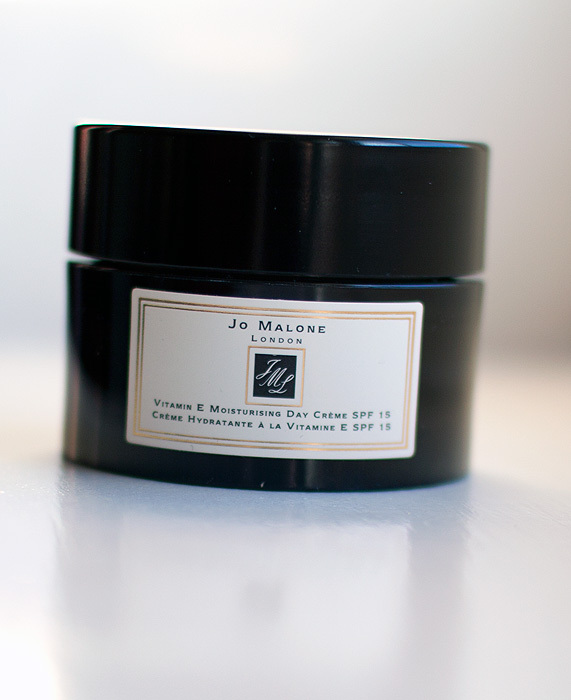 Jo Malone Vitamin E Moisturising Day Crème is priced at £50 for 50ml and available online and instore at Jo Malone. 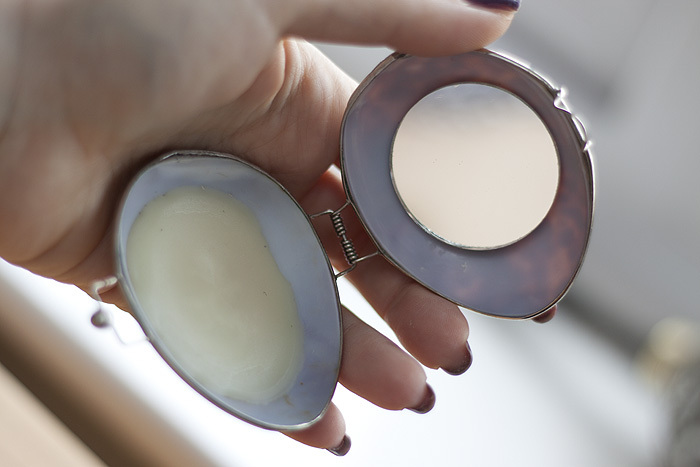 Sometimes, you know you’re going to love something before you set eyes on it and when I received an email describing an organic lip balm, delicately housed in a real-life sea shell? I felt the love immediately. Upon arrival, I wasn’t disappointed – something that had such potential to be overly-delicate and a little bit flimsy actually feels quite robust. Sure I wouldn’t wanna drop it on the kitchen floor from any kind of height but I can’t see much harm coming to it from being toted around in my handbag. The Shell Lip Balm itself is lightweight and adds a nice sheen to your lips without any thickness or stickiness. As a constant lipstick-wearer, I need something a little more intensive than this during the depths of Winter but I haven’t been able to resist whipping it out and using it at every opportunity regardless! This is a balm that would be perfectly suited to anyone who needs some added moisturisation but dislikes that heavy, balm-y feeling. It’s a really very, very comfortable wear. There are four different shell varieties available: Tiger Crown (mine), White Frangipani, Mocha and Oriental Fan. The shells are recycled after being washed-up on the shore and go through a stringent cleaning process. The lip balm is certified organic and contains: Coconut Oil, Rosehip Oil, Beeswax, Lanolin, Jojoba Oil, Macademia Oil and Mango Seed Butter. There is a faint coconut smell but no taste. Priced at £12.99 each, they make fantastic gifts (you could even pass a chain through the catch and wear it as a necklace) – I’m smitten with mine and have gone all Pokemon about them, gotta collect ’em all! Shell Lip Balm is available to buy online at http://www.shelllipbalm.co.uk – if you’re still trying to think of what to buy the person who has everything this Christmas, I’ve just solved that problem! It’s gone a bit giveaway-crazy on Lipglossiping this month and the fun is going to continue as I line up some more great goodies for you lovely lot. Seeing as I’ve had a couple of queries over Twitter, it’s probably a good time to announce that I won’t be holding the annual Advent Giveaway this year. I’ve been doing it for the past couple of years now and for me, it’s run its course. It can be pretty stressful to organise (especially when things go wrong!) and I predict that there will be a million blogs running the same format this year, so hopefully you’ll still get lucky! I’m currently sharing my Christmas pearls of wisdom over on the Jurlique website. If you click through, you’ll find an indecently large picture of me (cringe), my top Jurlique gift set for Christmas and a mini-essay on the Joy of Giving. Now, how ’bout that Joy of Giving? Well, it gives me unadulterated joy to offer you the chance to win my favourite Jurlique gift set: Rose Essentials, worth £54! The set contains: Rosewater Balancing Mist 100ml, Rose Hand Cream 125ml and Rose Shower Gel 300ml – it all smells absolutely exquisite! The Australian skin care company pride themselves on their botanical expertise and natural formulas, so stick around for the rest of the week to see what other goodies I’ll be bringing your way! 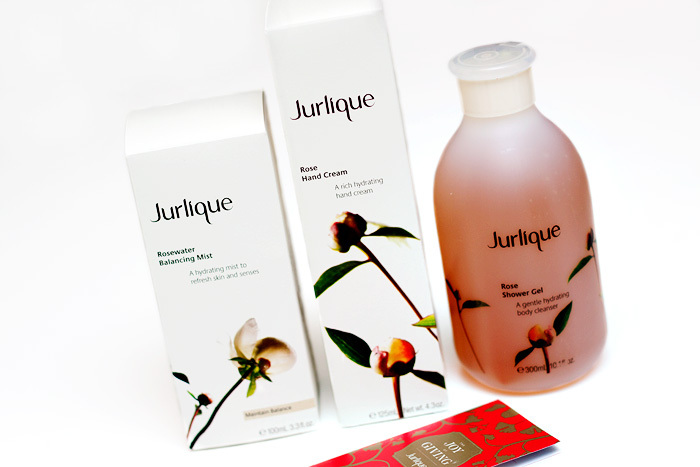 Want to win Jurlique Rose Essentials gift set, worth £54?! Jurlique’s Mylor Farm can be found in the hills named for which Australian city? 2. One winner will be picked at random from all correct entries. 3. Lipglossiping.com is the sole promoter of this competition. 4. One entry per email address please. 5. Competition closes on Tuesday 29th November 2011 at 23.59 GMT. 6. Winner will be notified within 5 days of the close of the competition. You may remember my post of tips I put together regarding the cleansing of dry skin… well, I’m back with a follow-up on how to treat dry, reactive skin types. What do I mean by dry skin? Well, for me… my combo/dry skin is largely self-inflicted. I know I don’t drink enough water (and always see a marked improvement when I do), I refuse to give up my cleansing oil addiction and although I’m leaning more toward kinder organic cleansing balms, I refuse to just ‘get rid’ of some of my more drying oils until they’re finished. Waste not, want not as my Mum would say. I don’t suffer too badly in the Summer, but come the end of October, my skin loses its glow and the biggest problem I have to battle are those dreaded flakies that make any foundation look like crap. 1. Think about supplementing your diet with additional vitamins or minerals to keep your skin in top shape. Either go for a general multivitamin to give a beauty boost or look for something more specific containing zinc and a good balance of vitamins A, E & C. Also aim to eat more foods rich in high-quality fatty acids such as Omega-3. 2. One of my most-frequently repurchased beauty items are cans of pH-balanced water. To many, that will sound like a horrible waste of money but I became addicted after my laser hair removal last year, when nothing else worked to cool and hydrate my skin as quickly. I keep a can in the car and one by my computer, they mist lightly and instantly give a boost of hydration when needed. 3. Exfoliating is critical for those of us with dry skin but as our skin is often quite sensitive, we have to be careful to choose the right kind of exfoliator. If you prefer the feeling of a mechanical exfoliator, make sure the granules are fine enough not to cause any micro-tearing to your skin. Alternatively, opt for a chemical exfoliator that harnesses the power of fruit enzymes, glycolic acids and BHAs. As to how often you should exfoliate, that varies and the best way to find out is to see what your skin will tolerate. 4. Get specific to your skin’s needs with a high-intensity serum, oil or concentrate that contains hydration-boosting or skin-repairing ingredients. Incorporate this into your bedtime routine to give your skin optimum time to repair itself while you sleep. 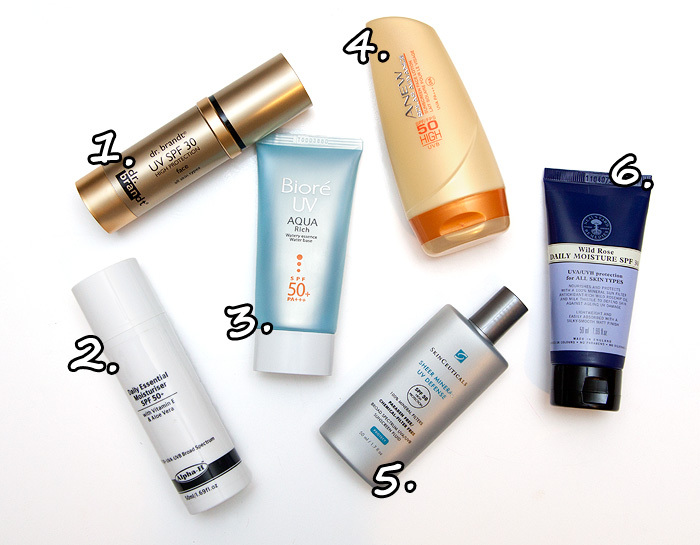 Look for products that combine well with your favourite night creams to quench the thirst! 5. Lie back, put your feet up and treat your skin to a regular mask treatment. Because I still get an oily nose, I tend to use two different types of mask simultaneously — on my cheeks, chin and forehead I use something deeply nourishing whilst my nose gets blasted with a good old dose of something clay-based to draw out the impurities. 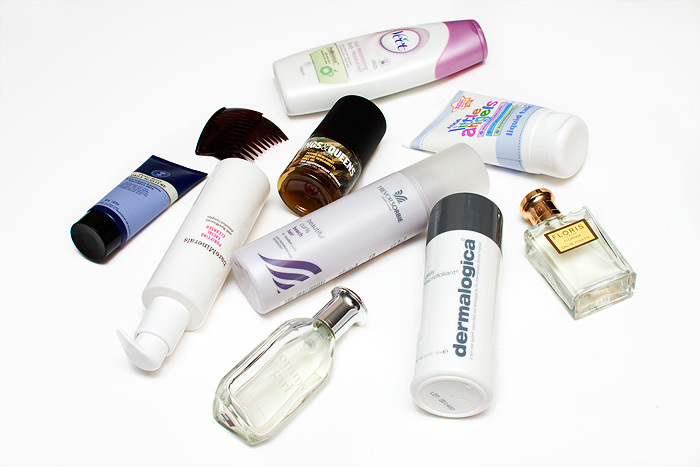 Don’t be afraid to mix and match, it’s all about tailoring your skincare to find the best results for your skin type. Whilst you’re treating a flare up, avoid products that foam and make sure that when you bathe or shower, the water isn’t too hot. Turn down the central heating just a touch (yeah, I know) and if Winter causes annual issues, think about investing in a humidifier for the room you spend the most time in. Most “normal” dry skin conditions can be treated with a little know-how and a lot of dedication to pinning down what works for you but if in doubt, always consult your doctor. Do feel free to add any TREATMENT tips you’ve discovered for dealing with dry skin, I’d love to hear them. I’ll be covering general moisturising tips later. The budget skincare brand that enjoys a cult following in the U.S. is now available to buy in Boots. I’ve previously bought the Cetaphil cleanser from my local Lloyds pharmacy but availability was hit and miss – hopefully, with such a major stockist now, those troubles will be a thing of the past. Despite an ingredient list that consists of mostly fatty alcohols, SLS, parabens and mineral oil derivatives, this somehow works for me. It’s not perfect but it is cheap and it doesn’t strip my dry skin like most cleansers. 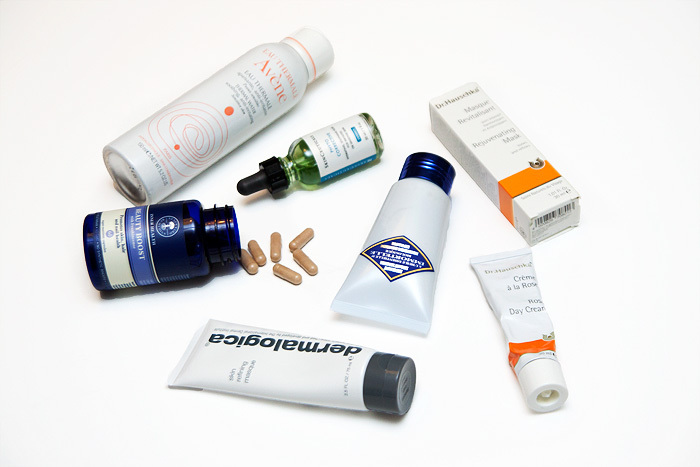 If you’re an organic-loving skincare girl, give it a wide berth. If you’re curious to try something new to settle your irritated or reactive winter skin, give this a go before spending the big bucks! 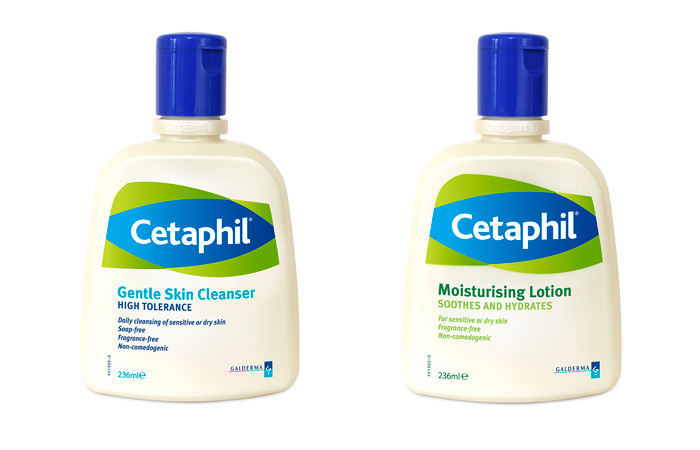 Cetaphil is priced at £9.18 for the large 236ml size bottles, available online and instore at Boots. Luxury spa and skincare brand ESPA are launching into House of Fraser, Westfield with the unveiling of their new counter on the 1st November. To celebrate the launch, ESPA will be offering their first 100 customers a complimentary on-counter 15 minute HomeSpa facial from one of ESPA’s Skin Therapists as well as an introductory ESPA gift, worth £56! The gift includes ESPA’s best-selling products: Lift & Firm Intensive Serum (8ml), Pink Hair & Scalp Mud (100ml) and Hydrating Cleansing Milk (60ml), so you can experience the wonders of ESPA at home. The introductory offer is available until the 30th November, subject to availability. 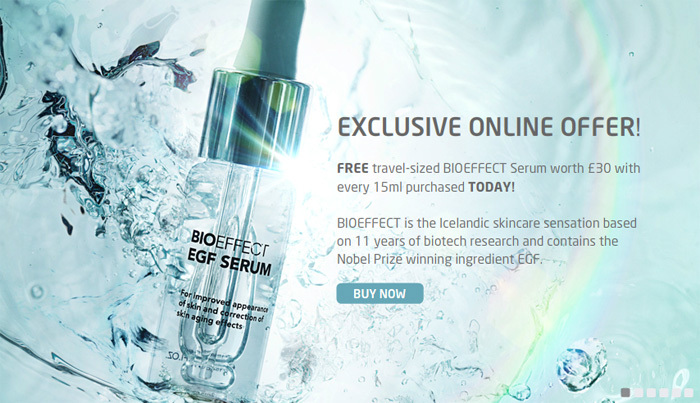 In celebration of the Icelandic ‘wonder’ serum’s 1st birthday, Bioeffect are offering a free travel-sized version of their serum with every full-sized purchase. Sadly, too rich for my blood (I might change my mind when the fine lines start creeping in properly), the £125 serum contains the revolutionary ingredient, Epidermal Growth Factor (EGF). A substance which occurs naturally in human skin and has the ability to speed up the rate of cell turnover. You’ll be hard pushed to find too many negative reviews of this product – trust me, my Mum’s had me searching many-a-time. I applied for a sample bottle last year and although I’m not quite at the age where I might experience visual results to WOW me, I did notice an impressive boost in general hydration. So much so, that the ‘crepey’ effect I get down the sides of my nose disappeared completely and the pores in that same are appeared more refined thanks to the improved skin structure. If it’s so wonderful, why haven’t I bought it? Well… because it’s £125 and it’s 15ml. That’s a lot of money for not a lot of product. If you have a lot of money to spend on not a lot of product. I thoroughly recommend giving it a go. Bioeffect EGF Serum is available today only with FREE next day delivery and a free travel-sized version. If you’ve been contemplating that purchase, now is the time to go for it. 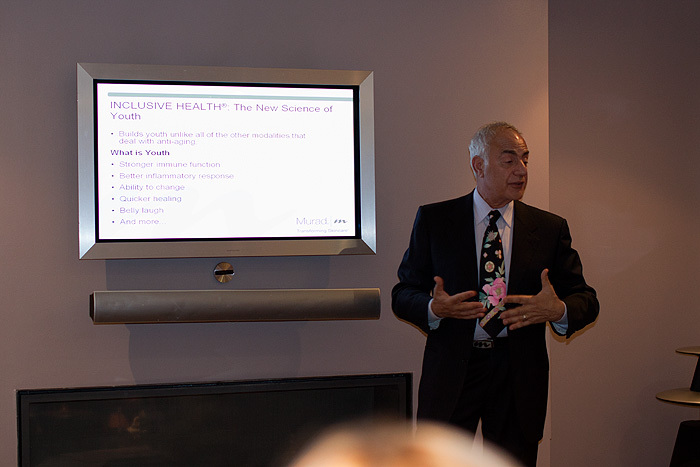 I received an interesting press release yesterday that shows the results of a nationwide survey on fake tanning. It was conducted by YouTravel.com and I thought it was rather fun! The regions most keen on their fake bake are the north-east and south-east of England, where renowned tanning capitals, Newcastle and Essex, can be found. A staggering 81% of respondents from the South East claimed to have applied their tans from a bottle this year! Perhaps indicative of just how rubbish I am at fake tanning, my region (the South West) came out with lowest score on the glow-o-meter with just 46% of us bothering to get our glows on. How did your part of the UK stack up? And what about you personally, are you a fake tan go-getter? I don’t usually do “tip” posts like these, infact I’m not sure that I’ve ever done one before. So it’s with a little apprehension and a large dose of ‘Do I know what the hell I’m talking about?’ that I present to you some of my tips for dealing with dry skin. 1. 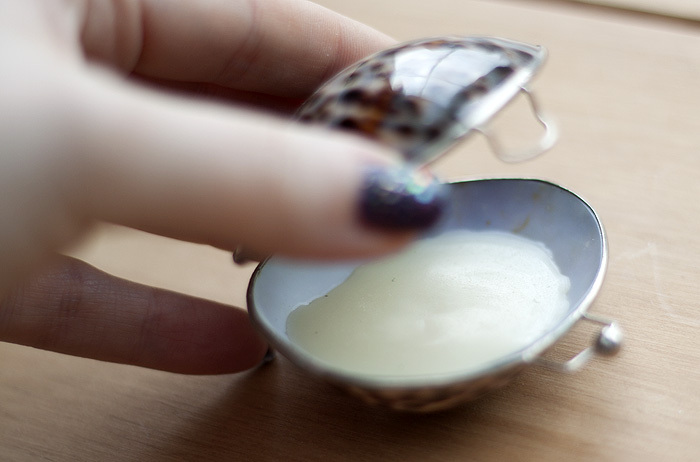 I refuse to give up on my cleansing oils/balms for makeup removal, so try to find one that is as natural as they come. That means no mineral oils or other Petrochemicals. Let your second cleanse shift the residue rather than relying on the inbuilt emulsifying agents. 2. Don’t use your hands to wash! Make sure you have a stockpile of your favourite flannels/muslins and use them to exfoliate! I can’t abide ‘flappy’ muslin cloths and always opt for microfibre or generic flannels. I buy 2 microfibre cloths for £1 in Asda (the home cleaning aisle!) but anything is better than nothing at all! 3. Choose your cleanser carefully. 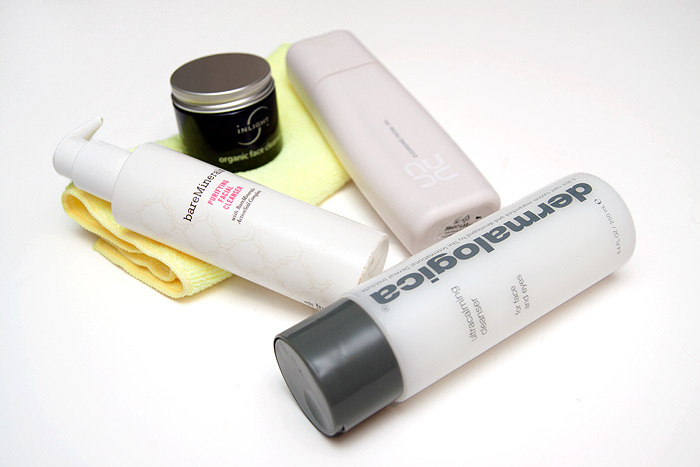 My skin always reacts most positively to the ‘boring’ cleansers on the market. These are usually the creamy-type ones that don’t make any additional claims other than to gently cleanse your skin. Avoid that ‘squeaky’ clean feeling like the plague. We don’t have the excess sebum production of oilier types and can’t tolerate twice daily skin stripping from harsher cleansers. Avoid SLS and Petrochemicals. Suggested products: Bare Minerals Purifying Facial Cleanser, Lavera Organic Lemon Balm Facial Cleansing Gel, Dr. Hauschka Cleansing Cream & Dermalogica UltraCalming Cleanser. 4. Mind that water! Living in the South, our water supply tends to lean toward the alkaline end of the PH scale which can encourage dryness if you don’t use a PH balanced cleanser to even things out when washing. Most ‘gentle’ cleansers are PH balanced by default but it goes a long way to explain why I’ve stopped simply splashing my skin with water in the mornings. I thought I was helping by not over-cleansing. Wrong! I’m sure there are lots of other little gems out there to cleanse effectively without over-stripping our skin but these are the ones that I find work for me. Do feel free to add any CLEANSING tips you’ve discovered from dealing with dry skin, I’d love to hear them. I’ll be dealing with exfoliating, treating, moisturising, lifestyle type tips later. 1). Turns out there are only 24 hours in a day. Who knew. 2). I wanted professional input but one contact went silent halfway through the process and the other replied to my questions with single word answers and I was frankly too aware that they were both doing me a favour to push my luck. 3). I may have also got the mega wobbles about doing such an important subject justice. So basically, I failed but I can honestly say that I failed with the best of intentions. Still, all the ‘homework’ that I put into the series hasn’t entirely gone to waste as it has given me understanding and knowledge that has left me far better prepared to comment on some of the sun protection I’ve discovered this Summer and I’ve needed this time to use, compare and decide on my favourite facial sun protection products on the market today. Let’s start from the top shall we? 1. Dr. Brandt UV SPF 30 PA+++* is an an advanced broad spectrum UV protectant that contains ‘dry touch’ technology. 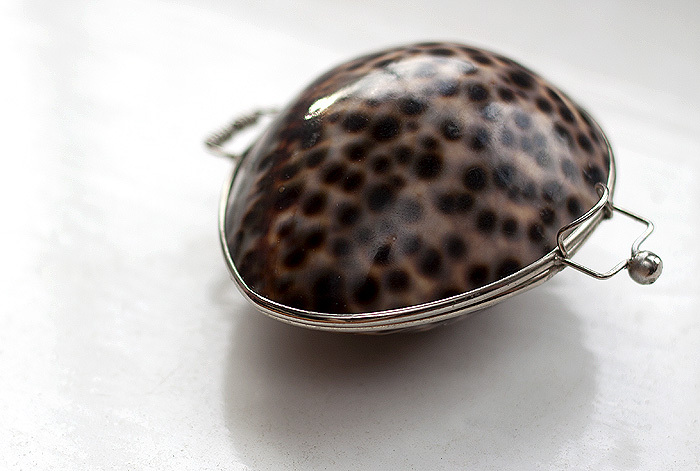 It wears exceptionally well under makeup and provides a satin finish with no white cast. Packaged in an airless pump, it refused to dispense for me on a few occasions leaving me pumping nothing but air until I swore at it and it behaved again. I wasn’t hugely keen on the scent but it deserves top marks for leaving a practically naked finish. Medium-textured and water resistant for 80 minutes. Repurchase? : Probably not, it contains Oxybenzone and I don’t like the scent. 2. Alpha-H Daily Essential Moisturiser SPF 50+ is an incredibly light-textured solution blended with antioxidant Vitamin E, calming Aloe Vera and pure Honeycomb extract for hydration aswell as sun protection. This is another superb sun cream to wear under makeup leaving no white residue and providing a dry finish without a hint of greasiness. Claims water resistance of up to 4 hours. Repurchase? : My heart says yes but my head says no. Again, this contains Oxybenzone. 3. Biore UV Aqua Rich Watery Essence SPF50+ PA+++ is a fluid-textured solution that feels cooling to the skin when applied. 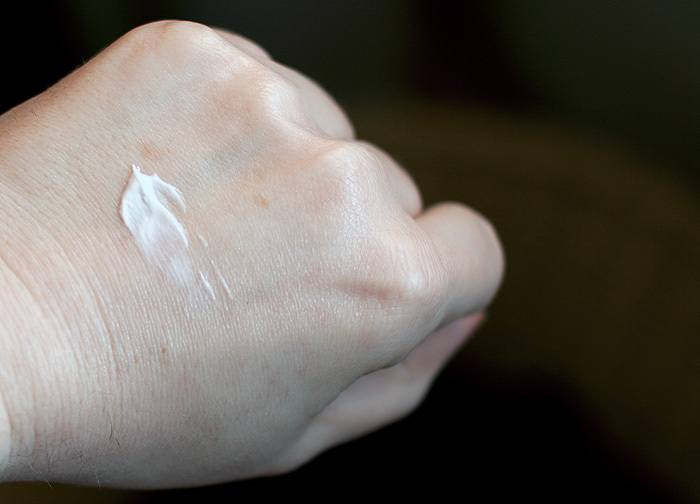 It leaves no white casts and a slightly dewy (but not greasy) finish. Perhaps better for normal/dry skins though as it lacks the immediate touch-dry feel of the other two. It sets after a couple of minutes, which is how long I usually wait before applying makeup over it. No claims of water resistance. Repurchase? : Again, probably not. It’s great value but contains Octinoxate. 4. Avon ANEW Solar Advance Sunscreen Face Lotion SPF50 PA+++* similar in finish to the Biore but with a heavier texture. This is definitely more cream than fluid but the most pleasant smelling of all sun creams trialled. Packaging is a frustration because the bods at Avon decided it would be a good idea to print orange text over a yellow bottle, cue much squinting. Again, this works best if you leave it a couple of minutes before applying make up but again, it left no white casts on my skin and once ‘set’, I experienced no issues with products that I used over it. Price: Currently £8.50 for 75ml at Avonshop – an absolute bargain! Repurchase: Unlikely, it’s another one to use Oxybenzone as a UVA/UVB filter and is a little heavier textured than the others. 5. SkinCeuticals Sheer Mineral UV Defense SPF50* is an all-mineral sunscreen that employs physical UV filters Zinc Oxide and Titanium Dioxide to protect the skin from the sun. You would usually expect to be left with a white residue as these ingredients sit on the skin’s surface, physically deflecting the UV rays but SkinCeuticals Sheer Mineral UV Defense uses micronized particles to provide a sheer, non-chalky finish. The texture is extremely fluid and needs a good shake before applying as it does separate in the bottle. Paraben-free and contains plankton extract to increase the skin’s defences against UV and heat stresses. Repurchase: Possibly, though I found the mattifying effect a little drying for my combo/dry skin. 6. Neals Yard Remedies Wild Rose Daily Moisture SPF 30* is the first sunscreen to be certified by the Soil Association (it’s 56% Organic) and contains only one active ingredient: Zinc Oxide. Naturally scented (as you would expect), the tube dispenses a heavy-textured cream that takes a bit more effort to massage into your skin compared to the others on trial. Once rubbed in, it dries to a velvety finish with no white residue. It feels more comforting for my dry skin than the SkinCeuticals but otherwise, very similar once set. 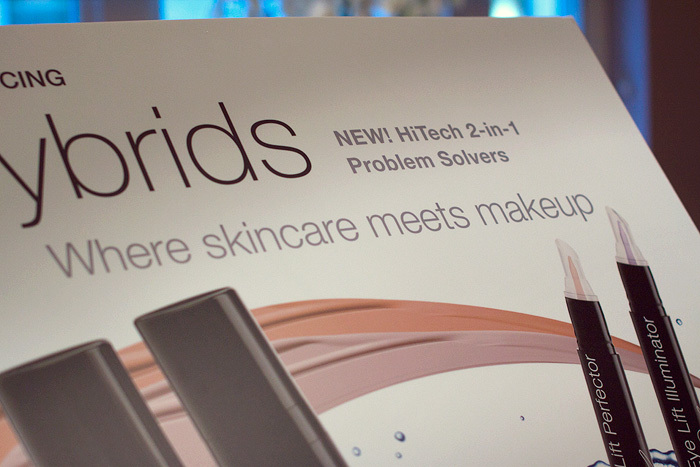 Also contains antioxidant-rich wild rosehip oil and milk thistle, is paraben-free and wears beautifully under makeup. Price: £23.50 for 50ml at Neals Yard Remedies. Repurchase: Absolutely. 100% mineral, matt-finish but with the added benefits of moisturisation makes Neals Yard Remedies my winning choice. A note on my personal choice to avoid some synthetic UV filters: I’ve made the decision to avoid some UV filters that have been linked to possible hormone disruption. The jury is still out on the validity of studies that have flagged these safety issues but whilst there are good alternative choices available, I’m pleased to be able to make them. I’m not letting the end of the month sneak up on me again like usual. Infact, I’m gonna do my “product love” post right now in a rebellious “up yours” to the Gregorian calendar. Screw you end of month! Goody Tortoiseshell Slide Combs (under £2 a pack) – I get annoyed with Goody because they seem to discontinue my favourite hair accessories at such a rate of knots that it sometimes feels like a conspiracy *looks around*. I’m not sure if these have been discontinued but I haven’t been able to find a backup pack when I looked this month. These side combs are brilliant because they grip my fine hair like no other. Brilliantly well made and discreet enough to make it look like you’re creating awesome hair styles with the help of magic pixies. Kings & Queens Sultan of Grenada Lemon Flower Roll-On Deodorant (£3.50) – My best friend at Uni came from Grenada so this always reminds me of her. I’m not sure she’d be keen to know that our friendship lives on in my bottle of roll-on mind you. Without compromising on efficacy, this is simply a lovely (and slightly different) choice for deodorant scenting. If you haven’t tried Kings & Queens yet, you should. Keep your eyes peeled in T.K. Maxx too because I’ve seen some mini sets in there recently. ASDA Little Angels Liquid Talc (£1.47) – If you’re well-endowed in the chest department, you may be familliar with the overuse of talc on particularly warm days. This liquid talc is Leila’s but I stole it this month and plan to steal it again. Talcum powder that applies like a lotion? Clever! No more mess, no risk of talc on dark clothing but with the same effectiveness as the powder alternative. For less than £1.50… gerroff Leila, it’s Mummy’s now. Neals Yard Power Berry Daily Moisture (£22.50) – This was in a try-me kit that I bought a couple of months ago and I’ve been using it on and off since then. Whenever my skin feels like it’s ‘playing up’ I return to this… it’s like the nurturing, inoffensive aunty of the skincare world that safeguards your delicate state until you feel ready to take on the big boys again. Make sense? Well… it did in my head. It also has anti-inflammatory properties, something I lurve to find in my skincare. Big thumbs up! Bare Minerals Purifying Facial Cleanser* (£15.00) – This has been a staple on my bathroom sink since I was given it a few months ago (and it’s still got a 1/4 left!) – I use this after oil cleansing as my second cleanser and it cleanses away any residues and leftover grime without leaving my face feeling stripped. To be fair, that’s all it does… but it does it just as well as Cetaphil but with less product. Basically, it’s my Cetaphil replacement. I take issue at the product’s claims to remove eye makeup (it doesn’t) but I’m going to forgive it just because everything else is spot on. Definite repurchase when it eventually runs out. Trevor Sorbie Beautiful Curl Beach Hair (£5.10) – Currently a massive bargain at Boots because of a 2for£6 offer across the range, this salt spray gives my natural waves some good definition without the crunch you’d get from mousse! I spray this on to almost dry hair and comb through with my fingers. If I’m near the hairdryer, I give it a blast to finish. It’s a quick fix for lazy hair days! 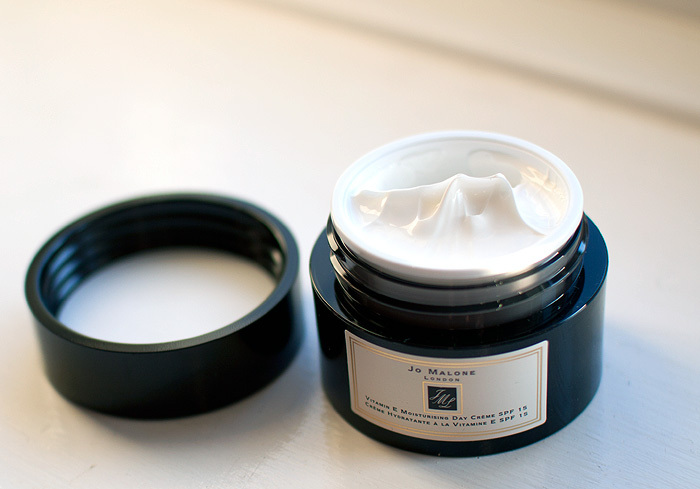 Also very excited that Trevor Sorbie have brought their original curl cream back recently, it was discontinued for a while, hoorah for consumer pressure! Tommy Hilfiger Tommy Girl EDC (£9.00) – Still only £9.00 makes for an incredible bargain Summer fragrance. I won’t go on about it because you can read my review here but more than one of you have fallen under its spell at ASDA’s bargain price since I mentioned it last. I’ve been reaching for this one more than any other this month. Dermalogica Daily Microfoliant* (£27.99) – This has become my morning cleanser/exfoliator in one… non-stripping and effective at ridding my complexion of dead skin it’s hugely convenient when I’m time-pressed. I love the exfoliating action which makes use of Papain and Salicylic Acid to help dissolve excess surface cells in a more gentle way. 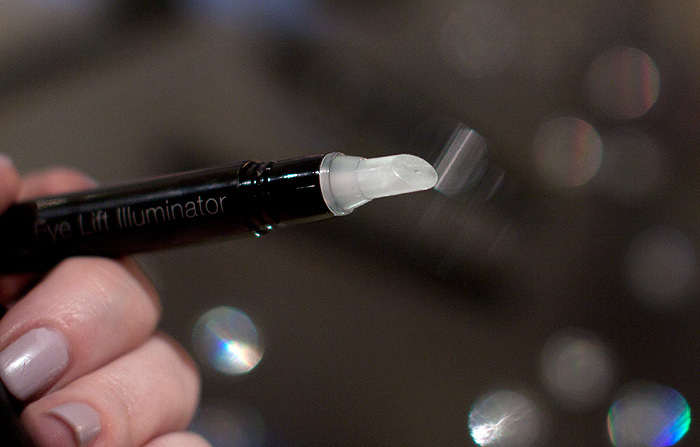 Who doesn’t like results-driven skincare? Mr. L has also discovered its delights, something I’m not so keen on, it won’t be cheap to replace! Floris London Florissa EDT (£22.50) – Another one that’s already been mentioned recently but deserves another shout out as my 2nd favourite fragrance of the month. I’m particularly appreciating the complexity in this one which is (to me) a real outdoorsy, traditional scent and one that I’ve been complimented on more than once this month! Phew! That’s quite a few products… what have you been loving this month?